Mine came with the tubes installed and not in separate boxes. Setup manual says the tubes are not pre-installed and that I'm supposed to install them. Anybody experience differently? Did I get a used one? BEST ANSWER: Thank you for all of your great responses. We had some shipping issues with DOA tubes. We were going to ship with tubes uninstalled then discovered a better socket for the tubes. 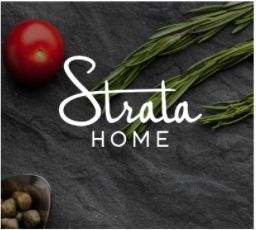 We chose to keep your experience as simple as possible. We kept the manual the same because it does give important info on replacing your tubes when they go bad which should be about 2-4 years. Mine came with the tubes installed as well. One of my tubes was actually broken so they sent me a new one to install. Then that one stopped working so they sent me a whole new unit. Now it works great. Great customer service!! I had mine delivered with tubes too. Not a problem. Love the sound when connected with cables and a good DAC.. The BlueTooth sound it terrible. I got mine with tubes pre-installed as well. They work well and look new. Traditionally, they should come uninstalled for extra protection. I read the instructions about installing the tubes. Mine were installed as well and working great ! Mine was new and also came with the tubes installed and very happy with it. Mine also came with the tubes installed and I'm confident it was brand new. I don't think so. Mine also had the tubes installed when it arrived. Mine came with the tubes installed. Don't think I got a used one. My amp were assembled. I didn't have to install the tube. Will the amp be ok (heat dissipation) on wooden shelving with 7" of top/bottom clearance? The sides and front/back are open. I could add a small fan if needed. BEST ANSWER: You should be fine. I'm using it with between two shelves with less clearance than that and it does not seem to be a problem. I am overall very happy with this purchase. Looks good, sounds good too. As others have reported, construction quality is hit and miss. The treble and bass knobs are not really centered in their holes and mine had a bad case of 60Hz buzzing from the mains leaking into the sound output. I returned it and got a replacement which does not have the problem. Ryan, if, as you say, you have 7" of clearance on the top AND bottom, it should be fine. The amp doesn't get all that hot because these are smaller tubes. I am basically using it as a preamp, to plug into a larger (tube) power amp that doesn't have any controls. I LOVE the sound of tubes, and don't have ANY solid-state devices in my system. Just to really be on the safe side, I would definitely use the fan with it. To be honest I've never noticed any appreciable amount of heat coming off of mine, probably because the tubes are open and can dissipate freely into the air. I use mine in a wooden shelving unit that's bigger but my Amp been one for over an hour now and it's still not very warm to the touch. If you mean 7 inch clearance above the tubes, no problem. A small fan would help in any situation , but would be a bit annoying as it would be a bit of a drone sound while listening. I do not think you would have any problem either way. Mine is just setting on a small table by my bed. The tubes are hot to the touch and will burn you but I don't think it generates enough heat to be a problem in your situation. I have a similar space with a closed space and haven't noticed any issues. It should be fine. Mine only generates as much heat as a cup of coffee. You should be fine. Don’t leave it on 24/7 though. Yes it would be fine it doesn’t get that hot. It will be fine. The unit doesn't get hot. Do I need a preamp between this and my turntable? BEST ANSWER: Yes you do, and make sure to ground things appropriately. If your turntable doesn't have one built in yes. Newer turntables can have a phono amp built it. If not you will need a separate phono amp to play it on most newer systems that don't have a built in phono amp. This should not be confused with a turntable with a USB output for a computer. Those wounds not be compatible with this amp unless you Bluetooth from your computer to the amp. I will say that the Bluetooth on the amp works very nicely it streams from phone computer and DAC well. Yes, unless your turntable has a built-in phono pre-amp. Nowadays, many turntables have one. You need a turntable with pre-amp out RCA so yes. Yes, unless your turntable has a built~in pre. Yes, a phono preamp is required. 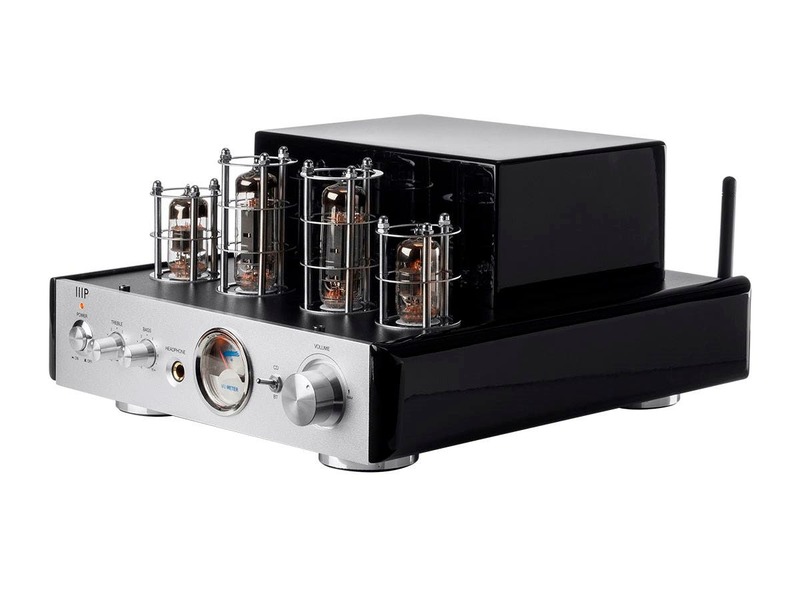 BEST ANSWER: You can plug you laptop to this Tube amplifier. You will need passive (non-amplified) speaker. You desktop speaker are most likely powered. Take a look at the Stereo Tube Headphone Amp with 24-bit/96kHz USB DAC, Bluetooth, and Preamp Out. You can use with analog connections or USB from the laptop. This has a Line Level output that will work with your powered desktop speakers. If your laptop has bluetooth just pair it with the amp. This is the way I like to use my amp. A usb bluetooth adapter can be found on the internet for a small price. I would advise you to add in a Digital Analog Converter between your computer and the tube amp because a computer often has the worst DAC installed. Yes, I think it's meant for this purpose at first. You can connect your laptop using bluetooth or 1/8 to RCA cables, works like a charm. it uses RCA plug as input connector, so you'll need headphone jack to RCA cable. For a cable you need a 1/8" stereo output into two RCA plugs. Can I use this for a record player with a built in pre-amp? BEST ANSWER: Yes, use the Line Out from your turntable to the line in of the tube amp. Yes you can. I am using it with an external 4 way input selector that allows choosing a magnetic cartridge turntable with a preamp, a CD player, the TV and a Media center. No problems with any of them. The volume does change a bit with each as it always does but it is a simple thing to either turn up or down the volume. Tis amp does produce very sweet sound. Yes; if the record player has a built-n phono preasmp it will provide a "line-level" output via either a "miniplug" (3.5mm) jack or two (right and left) RCA jacks. The Monoprive integrated amp has RCA jacks for input; you will need a cable with RCA plugs on one end and miniplug or RCA plugs - depending on your record player, on the other end. There is one input on it but you probably need a stand-alone "Phono Stage" between your record player and the input. Yes. If you are using a turntable with a built in preamp, this will work fine. So I hooked up my desk to computer to my hybrid tube amp and music only comes out of one speaker. What type of cable should I be using? BEST ANSWER: You will need a TRS 3.5mm cable from your computer's headphone or line out to the dual RCA input of the tube amp. Unless you have extremely long cable runs, ordinary 14AWG speaker wire (or similar) works fine. If only one channel is producing sound, cable "type" is not your problem. Carefully check all your connections. Also test speakers and wires using a known good source (some other amp). If one side is still silent, you may have a defective unit. I did not experience any issue after having connected each speaker individually, to the ports on the back if amp unit. Was your problem experienced while in Bluetooth mode also? Maybe try that mode also to see if you get same problem. My system cranks. If you switch the phono plugs over, does it come out of the other side? If so the problem is that you are only getting one channel from your PC . Try using a minijack headset connector to phono adaptor and plug it in your headset output. How are you connecting your speakers? There are two physical outputs: the headphone jack and the four hardwire terminals (left and right channels) on the rear panel. 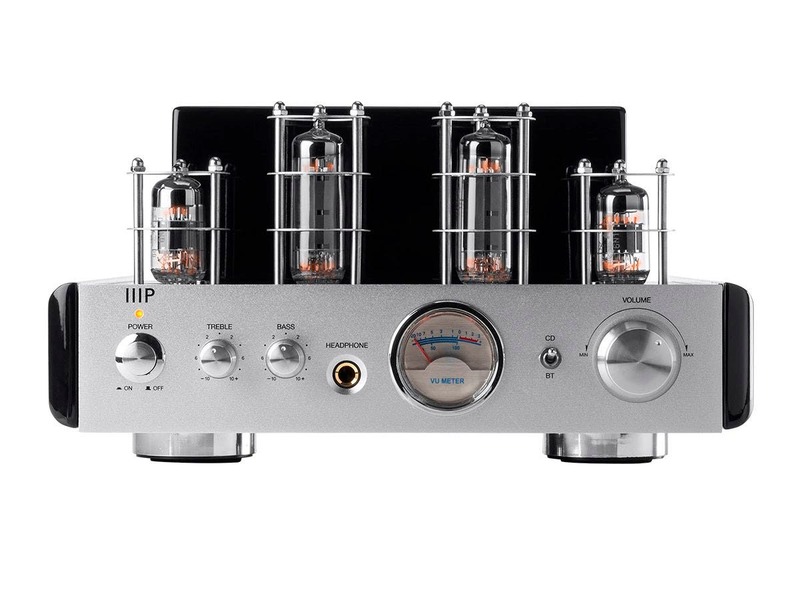 What advantage is there to using a "hybrid" vacuum tube as opposed to a completely solid state audio amplifier? BEST ANSWER: This amp is called a hybris because we use tubes in our pre-amp stage and a solid-state power amp to drive the speakers. It is a great way to get the "Tube" experience in to the hands of folks that may be skeptical and do not want to invest a lot of money. The tube warmth is a really nice remedy to the harshness of bluetooth audio. Short answer; the tubes are there to color the sound, and more importantly, look pretty. IIRC, this integrated amp uses the tubes as a pre-amp stage and typical class a/b amplification as the output stage. 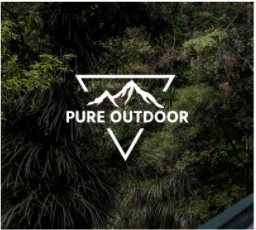 They are trying to attain the sound and selling point of tubes, which are all the rage these days. Thing is, it takes a larger investment to build a tube output stage than a typical class a/b output stage, hence the tube pre-amp stage to get the sound of tubes and a class a/b output stage to keep costs low. Sound wise, this may be no giant killer but it does sound better than most of the stuff at the local big box store and it looks ... well, you decide. .
Having tubes in the signal path gives the music a "Warmer" sound than all solid state. Some people can't tell the difference, and some people won't ever go back to solid state after listening to tubes. It is very subjective. Remember to get some time on the tubes before making a decision, though. I noticed a big difference between how this unit sounded the first time I plugged it in, and how it sounded after a couple hours. That is the tubes breaking in. This stereo definitely sounds good, which is really all that matters. There are many reasons and many web pages dedicate to explaining why tubes sound better. Things like soft clipping, euphonic distortions, progressive distortion, etc. I am sure in the end it is just a preference. To me, tubes have a warm pleasing sound. And they look cool. I think it adds a warmth, more natural sound to the amp. 1) Can I plug this into an existing amplifier (Kenwood KA-601) I use to drive my speakers as a way to add bluetooth to my legacy system? What are the downsides of plugging an amplifier into an amplifier? 2) Can I pair multiple bluetooth devices to this unit (multiple phones, bluetooth projector, etc)? BEST ANSWER: I would not use the Hybrid Tube Amp merely as a way to provide Bluetooth connectivity to you Kenwood. It will likely distort to unacceptable levels. There is also a real possibility that the Kenwood will be overloaded and damaged. It was never designed to take input from another amplifier. Why not just buy a Bluetooth receiver and a 3.5 mm to RCA twin jack cable? That option will give you what you want with none of the problems of connecting one amp to another. Bluetooth receivers are not expensive. You will want to check to make sure that your sending device and the receiver match up in features if you want those features to be apparent in the sound. For example iPhones didn't (and maybe still don't) support the AptX protocol. So if the Bluetooth receiver supports AptX but the sending device doesn't use it, it will not be present in your system. As to your second question, if you want to pair multiple devices at the same time to the Hybrid Tube Amplifier the answer is no. Bluetooth is essentially a wire running from point A to point B except that the wire is made of radio waves and not copper. So, just like using a physical wire, Bluetooth can only handle one device at any one time. Of course, you can always disconnect any device and pair another anytime you want. To be honest I do not know if you can run this Amp through your existing system. That being said I have owned several high end amps ( Mostly Vintage) and we added this one to run some nice bookshelf speakers in the bed room. 25 watts via tube is plenty loud. This is an amazing amp for it's size and price. The bluetooth is perfect for the way my wife likes to stream music and the sound quality is vintage and stellar. No, this amplifier only has speaker outputs and NO line outputs (which some amplifiers have). If you were to use the speaker outputs, you would probably damage the Kenwood amp. The Monoprice only has one pair of stereo inputs (labeled CD), you COULD plug a bluetooth device into it. In order to have multiple inputs, you would have to get some type of inexpensive signal splitter. Hope this helps. 1)No. It would be far easier to but a bluetooth cd player and use that. 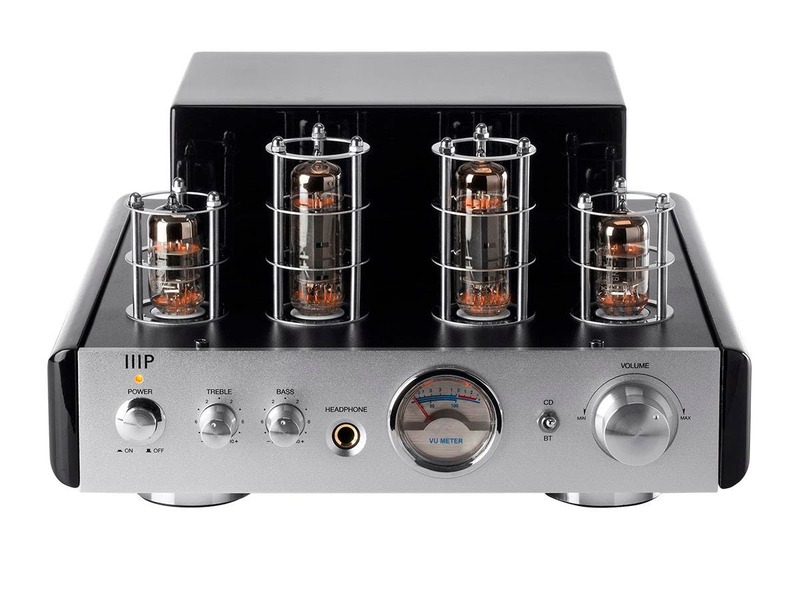 If you still want that tube sound you will need to get a tube pre amp and put that in front of your amplifier after your media player. 2) Yes you can pair multiple devices but only one at a time. I have no existing system. I think I need a CD player and speakers? BEST ANSWER: You will need some speakers. Depending on how big of an area you are filling. This amp is pretty low power, so some bookshelf 3-way will work Monoprice has some nice choices that are reasonable. It has inputs on the rear, that wil accommodate a CD player or turntable. The great thing about this amp, it has Bluetooth! Hope this helps! correct a pair of speakers and a CD player or since this has Bluetooth you could use your smart phone as the source assuming you have music on your telle.. Yes you will. This item is just the amp. Can I operate this without speakers connected, like a headphone amp only? or does it require a load? BEST ANSWER: it should work just fine as a headphone amplifier. 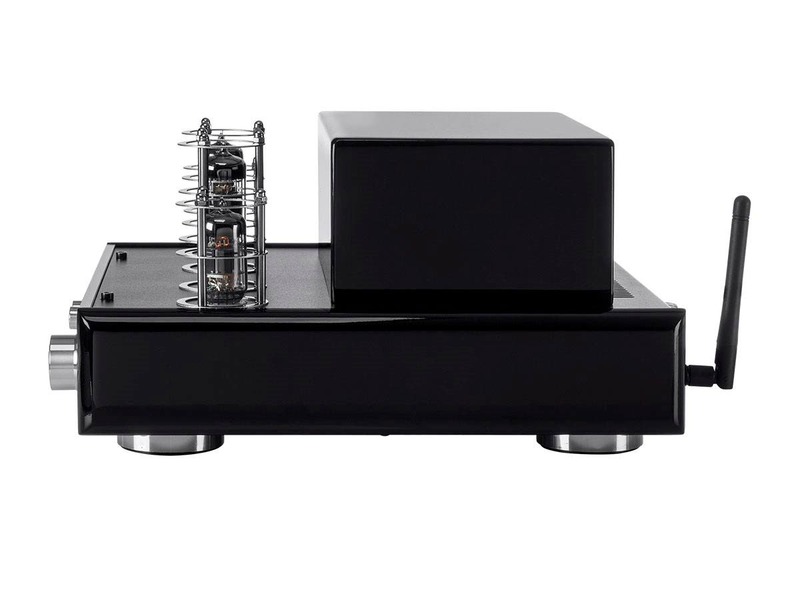 As a tube amplifier it doesn't have a right and left balance as a solid state will have. It will be quite a bit larger than a standard headphone amplifier. According to the owners manual, the speaker outputs are disabled when a plug is inserted into the headphone jack. That suggests the headphone output is driven from the amp output. Thank you Gareth, That is a good point. Been using power amps too long that require loads. Mindset was in the wrong place. This amplifier doesn’t need a load, but it hums in the presence of plasma type monitors. Can we plug it into a French outlet, or do we need a transfo? BEST ANSWER: The 25W tube amp is only to be use with 110V/60Hz power. You will need an international convertor. This amp does not have line level outputs to plug in to additional powered speakers. You would just need a plug adapter to use it in France. However, the Edifier is already an amplifier. It only needs a source, like a smart device or a turntable. The best use for the Monoprice hybrid amp is to connect it to a pass-though powered subwoofer and then on to a pair of passive speakers. Monoprice sells both, if you'd like a nice homogenous set-up. (I don't work for them--I just like their products.) Bon chance! Vive la France! I don't recommend this amp for 230 volts. But it's possible to use it for sub-woofer... with one that has it's own x- over my website is under- construction. Can help you with HiEnd audio. The Edifier CX2 speakers should work well. can I use this with wireless bluetooth earphones ? Sorry! the answer is no, there is no Bluetooth transmitter for headphone. Not sure I only used the bluetooth to receive a signal (from phone). Could you recommend any subwoofer models to connect to this system? BEST ANSWER: You will need a subwoofer that accepts speaker-level inputs and has its own cross-over (unless you plan to use a more complicated setup with something like a line-level splitter and external cross-over). You simply run speaker cables to the sub and then from the sub to the mains. Monoprice's subs are an option. See: http://www.monoprice.com/product?p_id=9723 I'm using a Definitive Technology sub with NHT Superzeros using the speaker-level cross-over built in to the sub, and it sounds great. The answer from William W. appears to be spot on, but his recommendation for the Monoprice sub #9723 may be overkill. 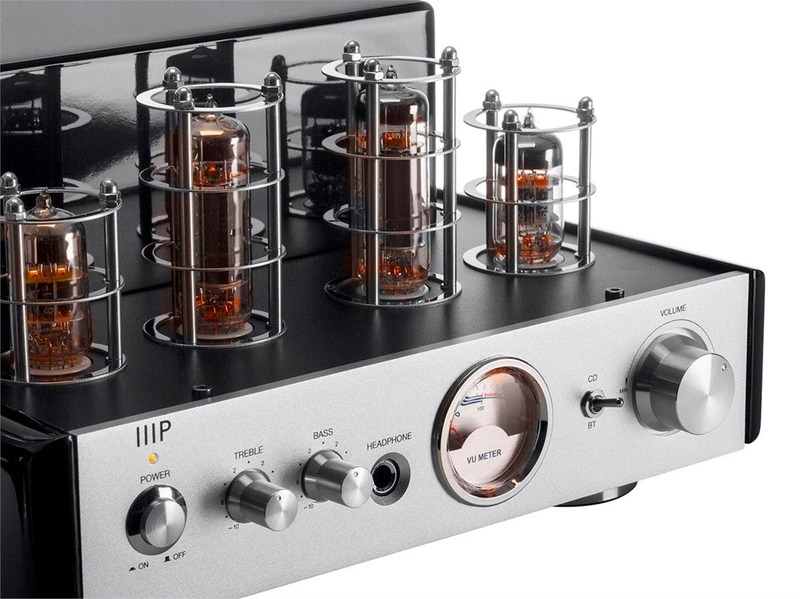 This tube hybrid amplifier puts out 15 RMS watts per channel into 4 ohm speakers; about 8 RMS watts into 8 ohm speakers. The Monoprice #9723 puts out 150 RMS watts. I doubt that the two are a good combo. Can you. Connect wired speakers? BEST ANSWER: Yes this is designed to use wired speakers to listen to the music. The BT is for receiving music and not for sending it elsewhere. If you didn't use wire, then I can assure you it is the quietest amplifier ever made. (Seriously.?) If you're asking if they can be used with POWERED speakers, then my answer would be "NO". If you're talking about sending a bluetooth signal to it wirelessly, then the answer is "YES". You need to tighten up your question a bit before we can know how to help you. Yes. Pick up a pack of banana plugs and you'll be all set. I'd like to connect this to a Subwoofer with line-level inputs. Any way to do that? Hacks? BEST ANSWER: Thanks for your interest in this product. The 25W Stereo Hybrid Tube Amp does not have line level outputs so you cannot hook up you subwoofer. Please take a look at the 50W. Just run the L/R speaker outs to the corresponding lines in on your sub. I have a similar setup with a pair of bookshelf speakers and a small sub, and it adds that extra something on the low end. How would you do that ? Will it hurt the system? This amp is very bass heavy to begin with and doesn't have enough power to play bookshelf speakers really loud. If you have bookshelf speakers that have a good low frequency response there is plenty of bass. Can this amp go into mono mode where I can mono block 2 ? One for each speaker? BEST ANSWER: I think that you are trying to describe 'bridging' the Left and Right Channels to drive one speaker load. Not having access to the schematic, I would venture to say that, no, it is not possible to bridge the two channels to drive one speaker load and in the process increase the power output. If it had that capability, there would be a dedicated switch or movable jumpers to alter the signal path. As far as I know, the only way to go into mono mode is to connect both speakers to one side of the speaker output connection on the back of the amp. There is no mono/stereo switch. on the 15W, the bluetooth input is dramatically lower (25%-ish volume drop). how's the BT input level on this one? even with the line-in? BEST ANSWER: The OP is talking about the 15W variant. Here I notice the much lower volume on the BT, and there is no reserve to crank up the volume to a reasonably higher level. On the bigger models, the volume can be just adjusted. You will ikley not switch frequently between the line in and the BT, so you can just adjust the level, but the 15 watter is unusable with BT. On my unit, I don't notice any perceivable volume changes between inputs. I never experienced the BT drop issue you descried. I have the 25 watt unit and yes I have that issue. I am contacting Monoprice for help. To connect this amplifier with a pair of speakers, would you need two pair of the speaker wires sold here? The speaker wire I see here comes in a pair of red and black connectors. I would need to buy two of that item, correct? BEST ANSWER: You need a left pair and a right pair. Each has two wires for positive (red) and negative (black). Good quality lamp cord works well. You need a two conductor wire for each speaker, just wire without connectors. The length depends on your situation. I just used regular speaker wire, some 16 gauge worked like a charm. Thank you. Does each speaker require two wires? So basically any speaker wire can be split into two ends (positive and negative) there should be one split end that has a darker line across it, use that for the black output and the non marked end for the red output. Same goes for connecting to your speakers. 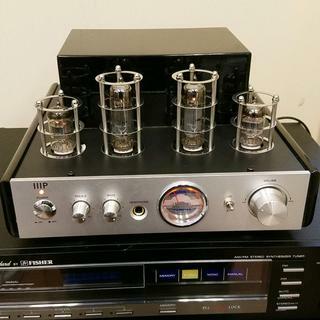 are these tube amps bridgeable? BEST ANSWER: Not having access to the schematic, I would venture to say that, no, it is not possible to bridge the two channels to drive one speaker load and in the process increase the power output. If it had that capability, there would be a dedicated switch or movable jumpers to alter the signal path. Could I efficiently drive Bose 901 iv 70s speakers with this. Will it accept Bose eq?? Best speakers ever made...unfortunately, I don’t think the eq is compatible— there’s only two aux outs, but the wattage should be plenty. Even if the amp had the power there are no preamp out/amp in connections to introduce the active EQ into the system. What are the tubes? what upgrade can I add to the tubes? The tubes are 6N1 and 6P15. I have not tried to upgrade and don't feel a need to. It's driving four Polk Audio T15 speakers. Sounds awesome right out of the box. I'm unable to read the tube model numbers. I can't understand why anyone would attempt to "upgrade" the tubes. Doing so could potentially damage the unit permanently. Is it possible to hook this unit with a vintage turntable? BEST ANSWER: You would need an outboard phono preamp. You need a magnetic cartridge preamp to do so; they run less than $20. Does this have AM/FM? 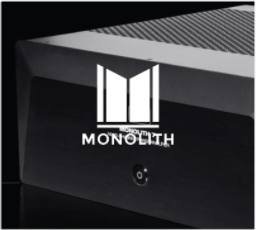 Or does Mono Price plan to bring a unit out that has AM/FM? Or a easy way to add it. BEST ANSWER: Unfortunately this unit will not include a built-in AM/FM Tuner. You will need to have a separate tuner which can be connected via the RCA line-in port. No tube amp is ever combined with an AM/FM tuner and will never be one. Where would I get extra tubes? Walgreens? BEST ANSWER: If you were to need to change the tubes, I have seen websites that specialize in tubes. Hit google up. There is a whole specialty niche , people refurbishing/using tube audio equipment. 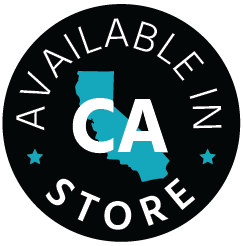 eBay, Vintage Audio Equipment, otherwise any old-school stereo shop you might have in your town. There's only two left in Silicon Valley that I know of. Good Luck. does this amp connect to chromecast audio? BEST ANSWER: Chromecast Audio(CA) is a audio-only device versus Chromecast(CV), which is a video device. And yes, it will support the Chromecast Audio(CA) but note that the Chromecast Audio ships only with a 3.5mm cable and you will need to get a RCA Y cable seperately. 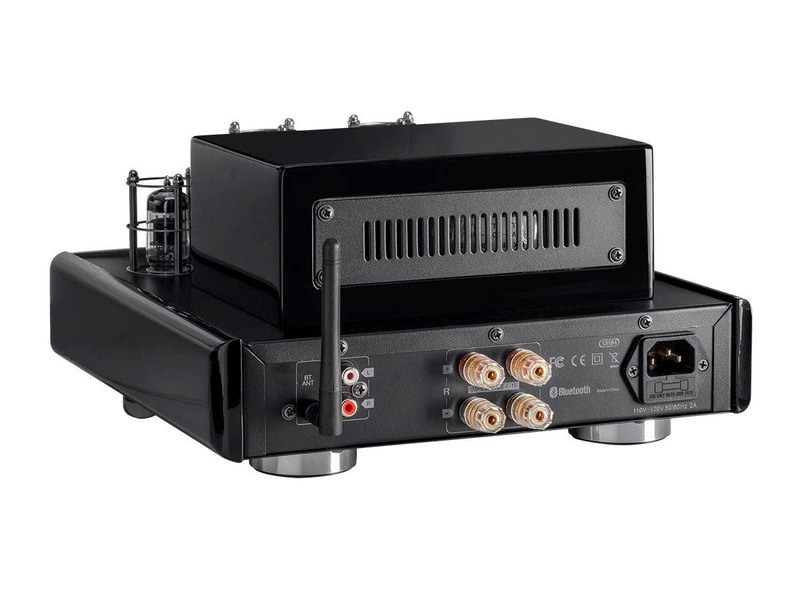 If you want to separate the video from the audio, as in streaming the video to a TV and the audio to a stereo, you'll need an audio extractor, such as the Blackbird™ 4K Series 2-channel HDMI® Audio Extractor, such as the Monoprice item 13349. What is the power output of the headphone connection? BEST ANSWER: This depends on the impedance of your headphone. Low impedance (4-8 ohm) will be very loud at the mid setting of the volume. My 2 kilo ohm headphones sound very nice and warm at the mid setting of the volume. Is there another modul i can add on to expand the RCA ? BEST ANSWER: The monoprice product #3027, their 4-port component video switch, is over-kill for simply switching audio inputs but it is reasonably priced. What I don't like is that it requires power. But the convenience of remote control might be worth it for you. If you search the web for RCA selector switch or RCA selector box you can locate un-powered versions in the ten-dollar range. Most of them are for switching between different video game consoles so they will come with a video port that you won't need; it's okay to just leave that disconnected. It won't hurt anything or introduce unwanted noise since it is completely isolated from the audio channels. I just bought an analogue equaliser and plugged everything into that. You have to disconnect your phone from the BT before you can add a new BT source. Helps if you just turn off your BT altogether so that it won’t auto-join before you connect to new source. How would this preamps work with your Monoliths Amps? BEST ANSWER: This model does not have the preamp output for a sub or amp. The 50 watt model does. This is NOT a preamp. In that most consumer speakers are rated at 8 ohms, is this actually 7.5 watts RMS per channel? BEST ANSWER: yup you are correct. only 7.5watts each at 8ohms. but dont be mislead, that is still plenty powerful for a mid sized room. i have them connected to a pair of floorstanding speakers in my bedroom, and it doesnt sound at all underpowered. The thing is very underpowered. Only good for headphones. At this price, I'm not sure what I was expecting. But I have passed my return period and now i have a pretty paperweight. Great amp for the price. This amp warms up CD's nicely but shows it's best when hooked up to a turntable. Not the best Amp in the world, but the best at this price. 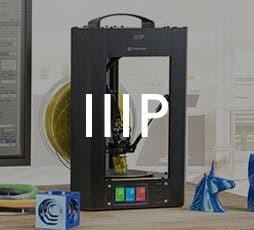 Nice idea, but terrible quality components get in the way. I was disappointed with this little amp. We bought it for my son for Christmas a few years ago. From the beginning it had a terrible hum, no matter the input. About a year later it was absolutely dead and it was never driven hard. Conveniently, no longer under warranty. It sat in my shelf for quite a while until a few weeks ago when I opened it. It was pretty obvious that a catastrophic failure of one of the digital amplifier chips had happened. I bought two replacement quality ICs of the same type and just soldered them in. It works very well now with zero hum. Obviously the original amp chips were chosen for their cheap price and not their quality. Great amp and I don’t need a transformer to change voltage! I love the sound via bluetooth, it is a very god product for that. However the minute I connect rca cables and use the cd setting there is hum apparent in the sound, which may be a grounding issue. I will probably send it for warranty repair, I note someone else says they have the same issue, so I hope this is not common to the whole range.. I paired this amp with 80s-era Mordaunt-Short MS10 speakers I felt would benefit from the warmth that a tube amp might give. I wasn't disappointed. The Monoprice powers these 80amp speakers nicely, giving quite well-defined sound even at low volumes.The build quality is a bit sketchy. It doesn't sit square and level; it's out by just over 1/8" diagonally, and the tube sockets aren't level either.I've read that swapping in JSC Voskhod 6N2P-EB / 6AX7 and Svetlana SV83 tubes can yield better sound quality. Now, this setup is on a bookshelf, not in Skywalker Sound studios, but I might give that a try someday. My first amp came faulty so it was replaced. The second one functioned correctly, but only lasted a couple of years. I baby it—keeping it clean and clear of anything that might damage or interfere. However, one side now cuts out frequently. It is the power amp section, not a tube/speaker/cable issue unfortunately. Would cost me more to fix it than buy a new one, and I'm not sure I'm up for rolling the dice again on this model. Bummer! There are frequent electric sounds in the main unit.